Among the minor issues in Windows 10, ill working network connection ranks top at the headache list. In most cases, users complained that they are having a rather slow speed network connection. This is usually caused by outdated network adapter driver. In this post, we will focus on helping you download and update driver for your Ethernet connection adapter so as to fix your network connection problem. Follow the steps below to get your Ethernet driver updated! Note: It is always suggested that you try update your device driver via Device Manager first. Windows will usually provide you with the latest version of driver it could find. But this is not always work, especially when you are already having problem with your current driver. So it is suggested that you update your drivers in some other ways. 1) To update your driver, the first thing you need to do is to identify the device driver you have. 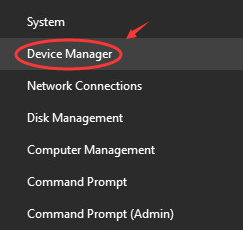 To accurately identify the model of the device driver you have, please press Windows key and X at the same time, then choose Device Manager. 2) Click to expand category Network adapters. Then you should be able to see the name of your Ethernet connection adapter. We are having Intel 82574L Gigabit Network Connection. Once you have identify the name for your driver, move on to the next step. 1) Alternatively, you can also go to the support of the manufacturer of your computer, such as ASUS, ACER, HP, Dell, Lenovo, and then search for the available updates for your device drivers. It requires that you know exactly the model of your computer, which might be easier for those with laptops. 2) Also, to increase the preciseness of the driver located, you can also check the hardware IDs for your device so as to make sure that you are not downloading the faulty driver for your device. To check the hardware IDs, double click the device driver you have, and then navigate to the Details tab. Then choose Hardware Ids from the drop down box. And you will be able to see the detailed information for your device. 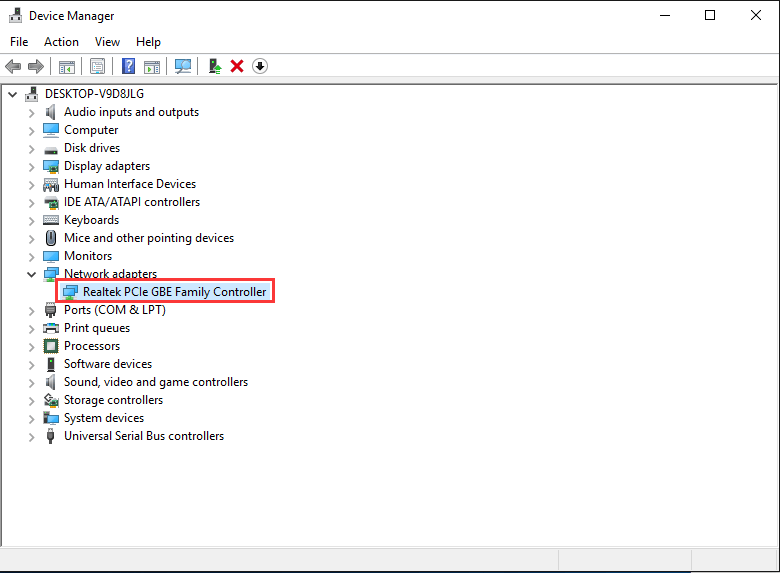 You can copy and paste the hardware IDs in the search engine to look for the driver in this way if you are a more advanced computer user. 1) Now that we have the model of the Ethernet adapter driver, we can go to appropriate websites to search for the driver that we need. 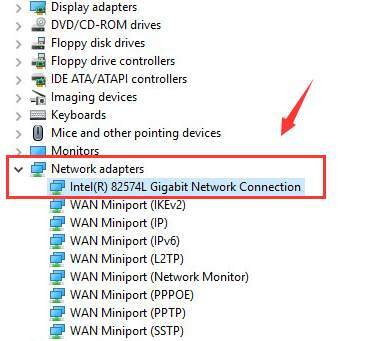 Take the device that we have for an example, we are having Intel 82574L Gigabit Network Connection driver, so we are going to support website of Intel. Go to the Drivers & Software section on Intel Support first. Type in the name of our adapter in the middle box. Then hit the search icon. 2) You should go to the support website of the manufacturer for your Ethernet driver. If the manufacturer is Realtek, go to Realtek support; if the manufacturer is Broadcom, just go to Broadcom support accordingly. 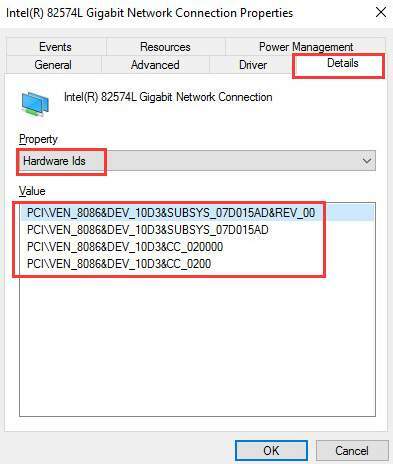 1) Now that we have located the driver in the support website of the network adapter manufacturer, which is Intel in this case, we just need to choose Drivers from the drop down menu on the left. 2) Choose from the results the driver that fits your situation. 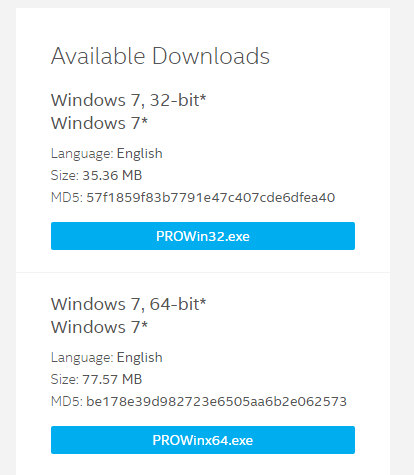 We can see that the latest version of the driver seems to be designed for Windows 7 OS, but we can give it a try to install it on our Windows 10 OS. 3) Now, click into the web page for this driver, and then download the correct version for you. 4) When you finish the download, extract the file and then run the installation setup app to install it by yourself. If you think the whole process of downloading and updating Ethernet driver manually too irksome, why not leave all the problems to Driver Easy? 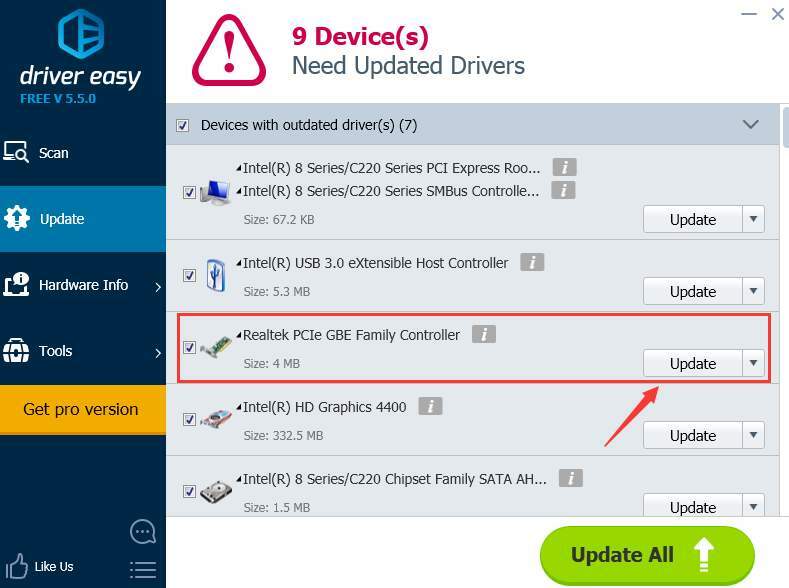 Driver Easy automatically helps you detect, download and update device drivers that are needed or missing in your PC with just a couple of clicks in few minutes. With the help of Driver Easy, downloading and updating device drivers is no longer a headache, and the minor problems you have in your computer caused by drivers are all ready to be solved in just two clicks. Tempted? If yes, give Driver Easy a try now!